Vremi 10-Piece Colorful Knife Set Just $19.99! Down From $50! You are here: Home / Great Deals / Amazon Deals / Vremi 10-Piece Colorful Knife Set Just $19.99! Down From $50! Score this #1 Best Selling Vremi 10-Piece Colorful Knife Set for just $19.99 down from $49.99 at Amazon PLUS FREE shipping with Amazon Prime or for orders over $25! Perfect for professional and beginner chefs alike, the Vremi 10 piece chef knife set is a collection of the most useful cooking and carving knives ever. With high-quality blades in bright Vremi colors, you’ll love it for slicing, dicing, chopping, crushing and more! 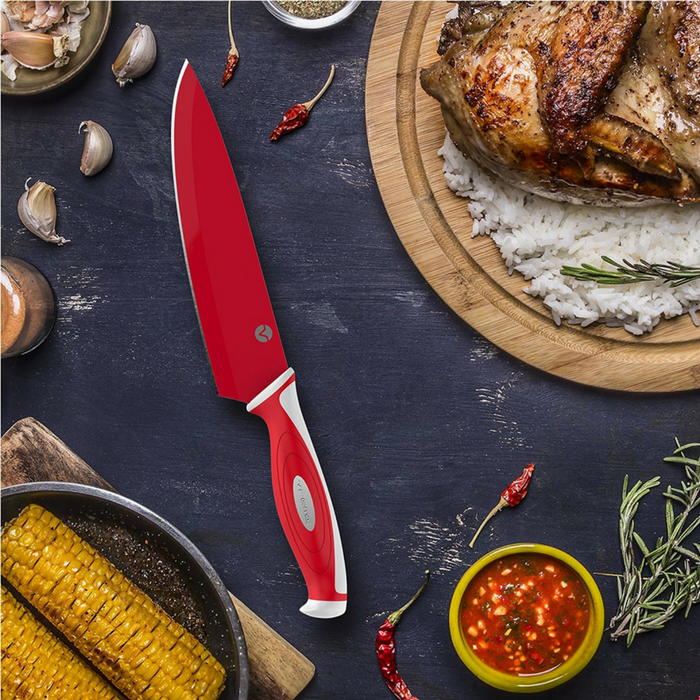 The colorful Vremi knife set features precision blades forged from professional-quality stainless steel for long-lasting sharpness and cutting performance. Keep colored knives protected with their matching blade covers, and store in kitchen drawers for clutter-free countertop. Weighted for Comfort and Control. These knives are in the Goldilocks weight class: Heavy enough to slice cleanly without slipping, and light enough to hold for long periods of prep time. Useful for every kitchen activity.